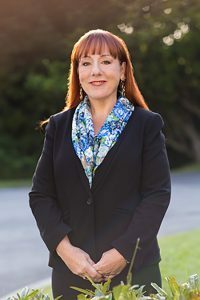 Miller-Dutra Manager MaryAnn Halasz-Cruz has over 30 years of management experience in the fields of public customer service, embalming, funeral services, cremation services and a degree in mortuary science. It was her dedication to people that prepared her to serve families in our community during their most difficult moments, as well as her high standards at Cypress Lawn Funeral Home & Memorial Park in Colma. Having been raised in New York, and Southern and Northern California, she is uniquely equipped to lead the Miller-Dutra team in caring for their Coastside neighbors in the same way Greg and Chris Miller did for over three decades. MaryAnn’s father and mother, Sandor Halasz and Giuliana Morettoni-Halasz, emigrated from Hungary and Italy, respectively. MaryAnn says the lessons she learned through family – such as responsibility, how to form meaningful relationships, and how to inspire others – help her and the team serve families at Miller-Dutra.